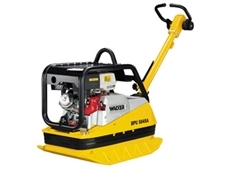 Wacker Neuson provide a huge range of vibration plate compactors for soil compaction or patching asphalt for driveway preparation, to compacting a new road or railway sleeper bed. Naturally Green are a creative and inspiring team who are dedicated to client satisfaction. We work with nature to create beautiful solutions for all your garden areas. Hydrasplit blocks, rock faced blocks, sawn blocks, pavers, capping, caps, quoins, sills, lintels, steps and cladding. NLS Vegetation Mulching specialises in clearing for councils and subdivisions, fire breaks, asset protection, undergrowth clearing, noxious weed eradiation, utility easement maintenance and any general vegetation management requirements. Landscape Conservation specialise in conservation, land management, agriculture and construction work helping you acheive a productive, sustainable and profitable rural and built environment. For more than 17 years MI Organics has been supplying quality landscape materials to the NSW North Coast. Today MI Organics is one of the largest family owned landscape supply businesses on the North Coast, with in excess of 30 employees. Manitou is the world’s leading supplier of rough terrain materials handling equipment. As a global manufacturer of high-quality light equipment and compact construction machines, we support professional users in their daily work. Aprilla Stock Grids is a leading manufacturer of steel reinforced pre-cast concrete grids. Our Grids are used in a wide variety of applications ranging from the rural sector to diversified industry. A Leafy Life – total plant and tree supply specialising in farm trees at wholesale prices. A Leafy Life can design, supply and even plant your trees. Ask about their Complimentary Consultation Service (conditions apply). 23/07/08 - Sydney Sandstone Supplies.com provides landscaping materials like sands, soils, gravel and mulches. Customers can also get quality sandstone products for landscapers, public and builders directly form the quarry.